The field of art education is often overlooked as a viable career in most school counseling offices. Many college students aren’t even aware that the profession exists. Today’s guest, Kelsi Quicksall declared Communications as her major until a quiet suggestion from a loved one opened up a world of possibilities. 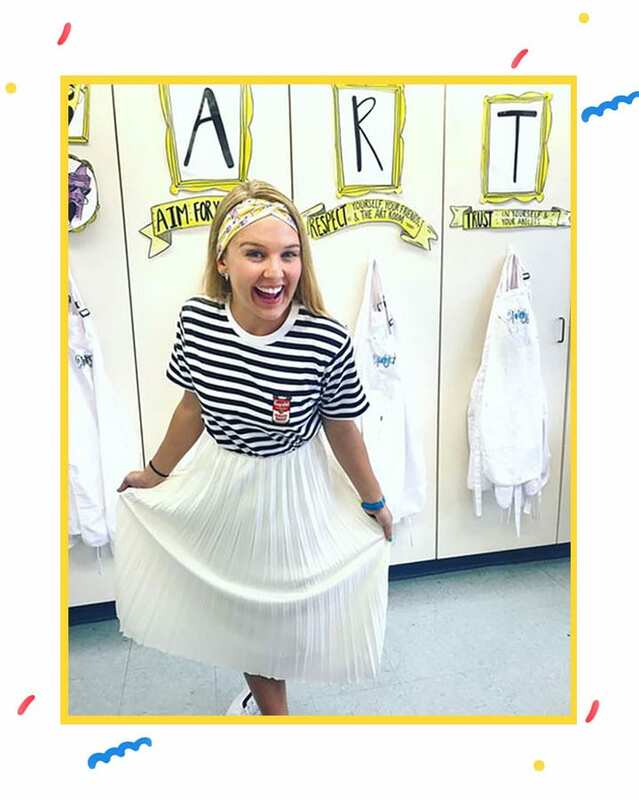 Now into her second year teaching art, Kelsi has a passion for teaching, a love and connection to her students and a strong following on Instagram. Get to know Kelsi Quicksall! 1. Can you share how you got started as an art teacher? It took me entirely too long to realize that teaching art was a viable career option, and a super rewarding one! I always loved art and school. I considered myself an artist, took all of the art classes in high school… but for some reason, it wasn’t portrayed to me as a realistic career. After than, I made the switch to study Art Education and it all clicked. I graduated with a minor in Mass Communications (having started college in Journalism) and still enjoy media and writing, but mainly sharing on social media! My best attribute also is my worst… I have high expectations and goals for myself and my students, but I’m also a procrastinator. As a result of both, I work extremely hard at the last minute to put things together that meet my expectations. I hold my students to high expectations as well, and they create amazing work as a result! The downside of my “attribute”? Lack of time for anything else like eating, breathing, sleeping… just kidding, kind of. Get silly! I have been told I have a ton of energy. With minimal amounts of sleep, I don’t feel like this is true, but I guess the coffee is doing it’s thing. 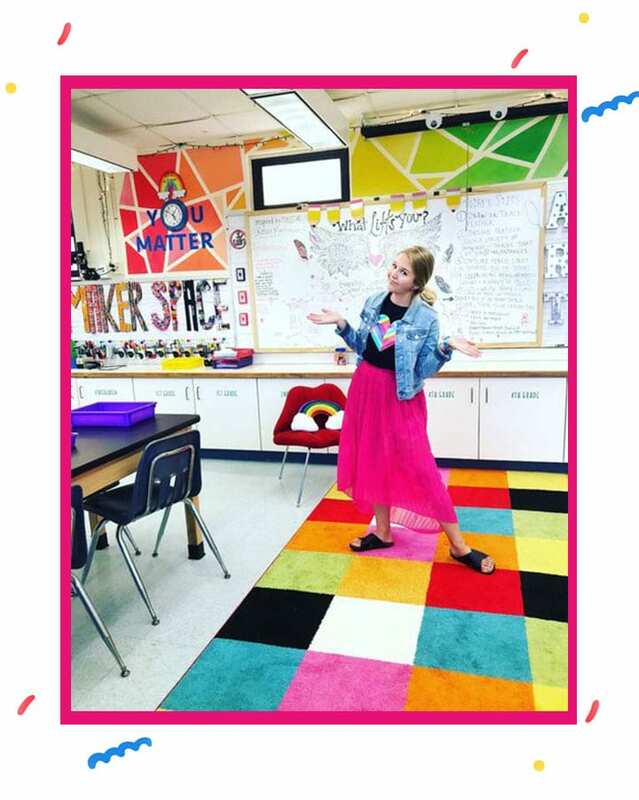 I find that when I am super enthusiastic and excited about something (a “new” art media, artist, technique, project, art show, etc) that energy is transferred to my students. I thrive off of their feedback. I use a microphone to enhance engagement- most would think it’s for my students, but it’s also for me. I love using that thing. I’ve been asked why I don’t just use a hands free mic set (often provided by schools), and the answer is because I love holding the microphone and taking the “stage”. I even have a second microphone for students- they are more likely to want to share with the mic! It really enhances engagement when we’re analyzing artwork, sharing what they see/think/feel/wonder, or just what we’ve learned. If I notice that they’re not excited, I know I need to make changes. If I ever feel like I’m “losing them”, I immediately go for silly. Silly accents, songs, and call and responses really work for my students. 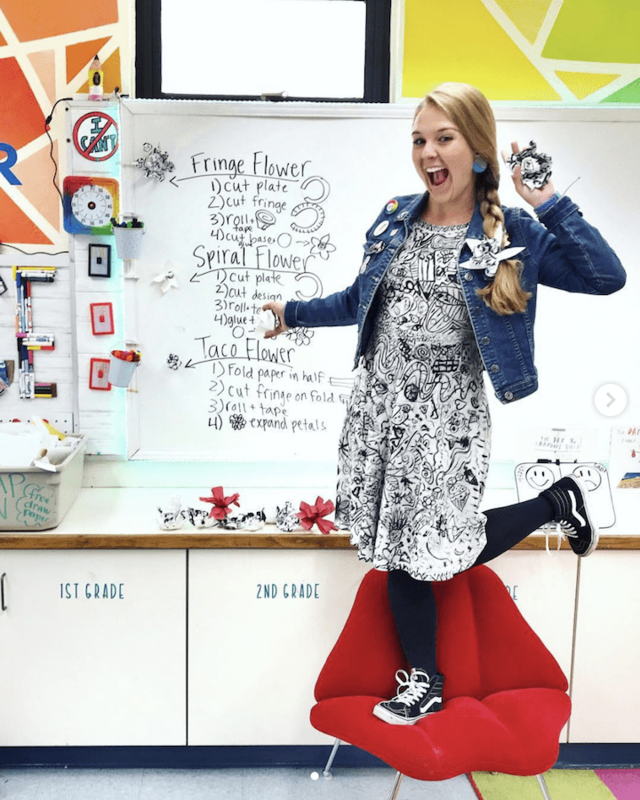 As the great art educator Cassie Stephens always says, “silly sticks.” It’s so true! Teaching art is so rewarding for both parties- my students and myself. Teaching is one of the most under-appreciated and underpaid professions, but that’s not the challenge. The challenge is in the way teachers think and the time we spend thinking. Educators cannot simply “turn off” their brain. I now think of everything in life as a potential lesson, an art project, or teachable moment. That being said, teachers work hard. Countless unpaid hours planning lessons, money spent out of pocket on supplies, classroom improvements, rewards for kids… the list goes on. But I sincerely enjoy doing it and wouldn’t want to do anything else. I’d keep teaching art even if I won the lottery! It’s purely our of passion. I feel the most alive when I’m creating art, and a sense of purpose when I share my passion with children. The simplest things are the most rewarding, like watching a 5 year old mix yellow and blue to be overjoyed in discovering that it creates green. Pure magic. Aiding students in achieving their artistic visions and seeing their pride in their work is priceless. 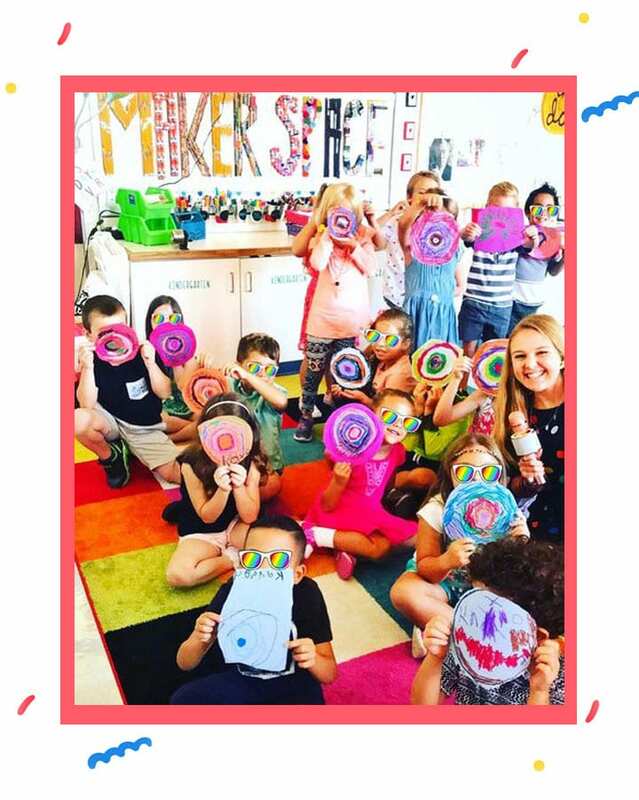 The arts are crucial for children to develop problem-solving, communication, and collaborative skills; and teaches motor skills, inventiveness, cross curricular engagement, history, art history, and culture. I feel like those are all obvious things to art teacher listeners out there, but it’s crazy that many teachers, administrators and parents aren’t aware of the benefits. In such a digital generation, teaching these skills early on it’s vital to their future success. 5. What advise would you give a new teacher? I’ve been staking art teachings on social media since my first year in college, including Deep Space Sparkle! My first year, I commuted an hour each way to my school. I lived for podcasts like Art Made Easy and binge listened on my commute! 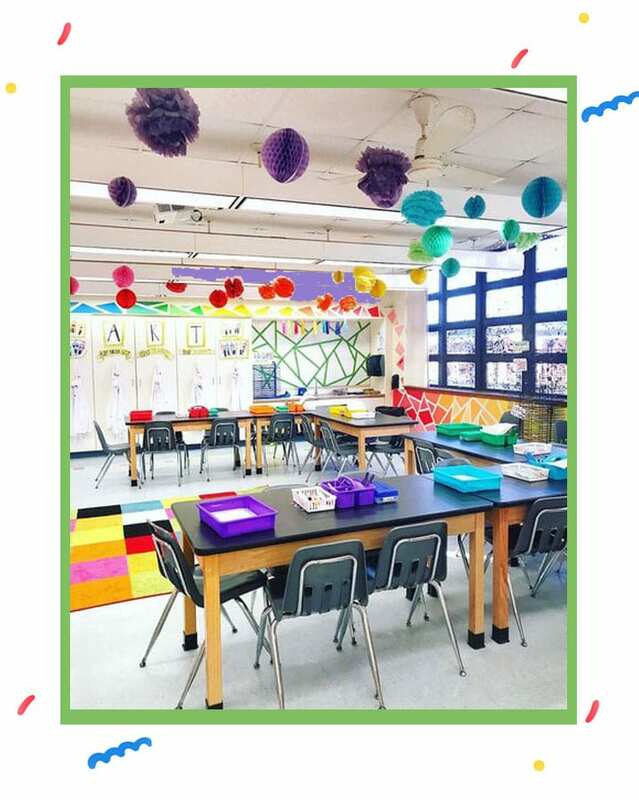 I am so lucky to have started my teaching career at a time when so many art teachers are sharing their lessons and expertise on social media/blogs. Before I started teaching, I dove in. I listened to every podcast. Read every book. Every blog. Every Instagram post I could possibly find that would help me! I think my own drive to find these resources has really benefited and shaped me as an art educator. I owe my success so far to the great teachers who take the time to share! 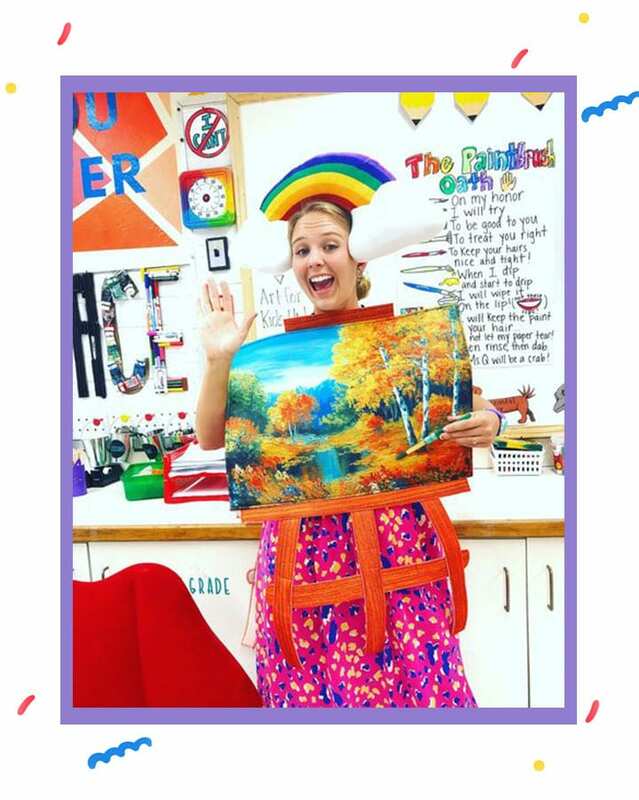 The world of art education can be lonely when you are the only art teacher at your school. Instagram has particularly been a beneficial resource and community for me, especially through my first couple years of teaching. I have befriended a community of amazingly talented and experienced art teachers who love teaching and also love teaching others about teaching as much as I do! Share something you love. 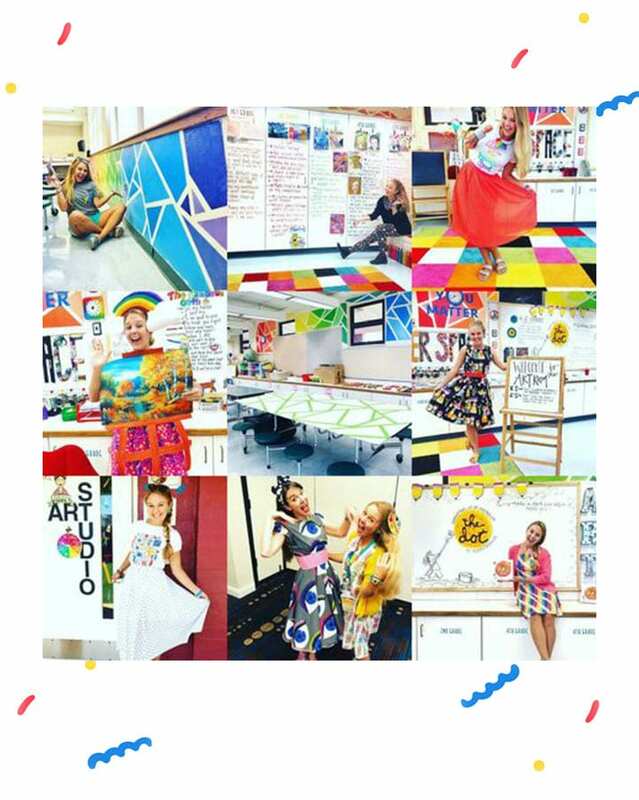 Check out Kelsi Quicksall’s Instagram and her Sumi-e Ink dresses made by her students! Great podcast! I binge listen to Art Nade Easy in the car too!